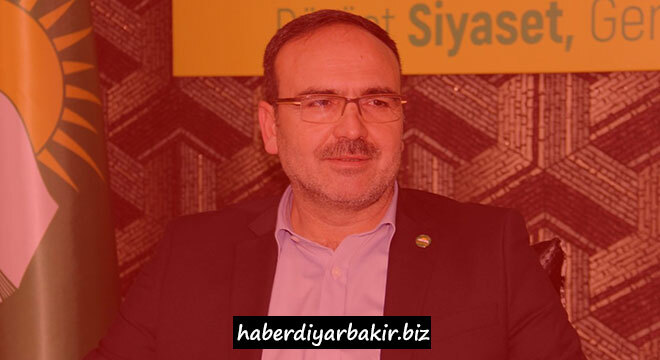 DIYARBAKIR-Speaking to ILKHA correspondent, HUDA PAR Diyarbakır Provincial Chairman Metin Kaya was in the important call to the government officials about the Kurdish issue, which came on agenda again with the call of HUDA PAR President Zekeriya Yapıcıoğlu he made a few days ago. Pointing out that the state has left Kurdish rights to the initiative of the armed elements under the name of "Solution Process", Kaya emphasized that Kurdish rights cannot be a matter of grace and negotiation. Saying all rights of Kurds were taken from their hands with the Lausanne treaty, Kaya added that the Kurds ignored in the newly established Republic of Turkiye. "During the Republican period, the Kurds who fought shoulder to shoulder and struggle against the enemies in the War of Independence in Çanakkale, who founded this state together with the main elements of this state throughout the Republican period, were ignored by the official ideology, especially in the process of Kemalism," Kaya said. He also added that this problem, just because has not been solved, remained as the weak part of the state, which easily exploited by the westerns, reactions against the system have emerged and armed elements have formed. "These armed elements tried to fight for the Kurdish rights on the promise, but in the process, they turned it into their own organization's benefits," he said. "The solution process has turned into a process that damages Kurds"
Reminding that the state has initiated a process under the name of solution process; tried to show the rights of Kurds as the rights of these armed elements, Kaya said: "The process called solution Process turned into a process that damages the Kurds. Because the state tied the rights, given to Kurds, to the guns. It tied to the requests of the armed elements," he said. Kaya noted that the process has failed because they did not make any negotiation with the Kurds, who have influence in the region.